Why of course he won Cutest Crossbreed, I wouldn't have expected anything less, handsome boy that he is. The pencil sketch is beautiful, a fabulous Christmas present. Glad you all had a good day. He is rather handsome isn't he Jo...OK, so I am biased...but I don't really care.lol. I do love his sketch...Juliette did a fantastic job with it. I bet the foster family were over the moon to see how well looked after Trojan is now and how happy he looks. 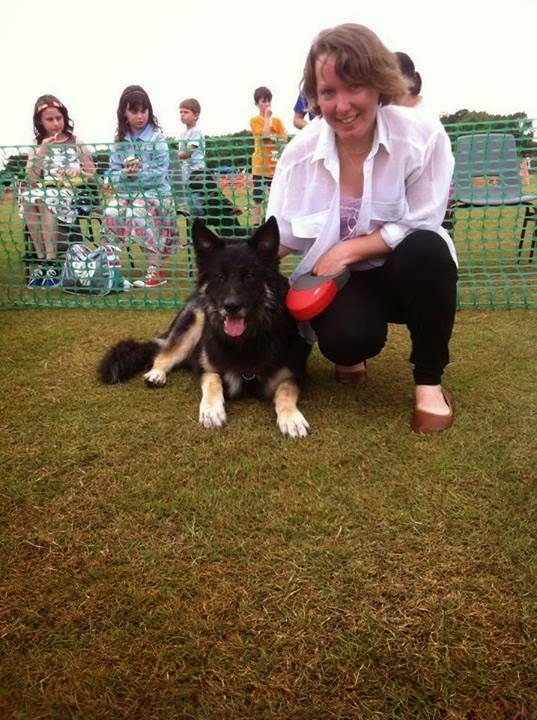 Well done Trojan for winning a well-deserved prize and Hubby for winning the 'name the dog' competition! The portrait photo will be a reminder of a meaningful day out and the pencil sketch captures Trojan's lively look very well. Thanks Linda...it was a great day for us all. What a fabulous day! Looks like a lot of fun. And I love the drawing of Trojan.